The Best Sports Nutrition blogs from thousands of top Sports Nutrition blogs in our index using search and social metrics. Data will be refreshed once a week. Sports Nutrition newsletter is a comprehensive summary of the day's most important blog posts and news articles from the best Sports Nutrition websites on the web, and delivered to your email inbox each morning. To subscribe, simply provide us with your email address. London,UK About Blog JISSN is dedicated to delivering knowledge on how nutrition plays a role and is affected by sport, exercise and the lifecycle. The open access journal provides a global platform on which readers can determine the state of the evidence regarding a topic and can learn nutritional strategies that may enhance exercise and/or training adaptations leading to improved health and performance. Find articles on nutrition and health, disease, rehabilitation, training, and performance. Facebook fans 78,707. Twitter followers 53,255. About Blog Online bodybuilding and fitness magazine and community. It contains in-depth information on the usefulness of supplements, training videos and a forum where you can talk with other bodybuilders. Facebook fans 39,426. Twitter followers 10,217. Cardiff About Blog Cardiff Sports Nutrition supply the finest sports nutrition, bodybuilding supplements and sports supplements from the biggest brands in the industry for proven results! Find all the latest news on supplements, recipes, workouts and more. Facebook fans 39,389. Twitter followers 28,408. United States About Blog The Best Pre Workout Supplements and Supplement Reviews. Check out Reviews and Comparisons on all the best workout supplements! Get solid advice on bodybuilding supplements before you go to the store. Facebook fans 22,077. Twitter followers 140. About Blog Welcome to the official Twitter page of BIGMUSCLES Nutrition, one of India’s leading food supplement manufacturing companies authentic for all bodybuilding needs. Facebook fans 85,104. Twitter followers 498. San Francisco, CA About Blog A place to discuss fitness, health, nutrition, and training programs beyond the beginner or introductory stages. And also find posts on sports nutrition as well. Facebook fans 1,204,516. Twitter followers 569,724. Virginia About Blog “I founded Legion Athletics to create healthy, high-quality sports supplements based on sound science, and to sell them honestly and at a fair price," said by founder Mike Matthews. Facebook fans 97,670. Twitter followers 11,913. Naperville, IL, United States About Blog Wondering how to use food to improve performance? Whether you are a weekend warrior, amateur athlete or elite competitor, this blog will provide you with evidenced-based, practical advice. No supplements. No gimmicks. Just real food for real athletes. Austin, TX About Blog PricePlow is the premier place to shop for supplements! Our blog features supplement reviews and news -- We do the Work, You do the Workouts. Facebook fans 8,553. Twitter followers 3,728. USA About Blog Weekly Supplement Reviews and Nutrition Advice. Cheap Sports Nutrition Bodybuilding Supplements Online. Essential vitamins to protein supplements SameDaySupplements.com has what you need. Facebook fans 114,413. Twitter followers 1,276. About Blog The BioSteel way begins with Sports Nutrition but encompasses a lifestyle that encourages everyone to be at their best. Whether it is recipes, training tips, healthy living advice or supplement deep dives the BioSteel Blog is your resource for being better. Facebook fans 26,911. Twitter followers 56,812. Brighton, England About Blog Reflex Nutrition is a highly respected name in sports nutrition. Follow this blog for top nutritional and supplementation advice, as well as workout tips and plans to improve your training performance. Facebook fans 100,897. Twitter followers 34,135. England, United Kingdom About Blog Evidence-based information and advice about sports nutrition and exercise science by leading exercise physiologist and sports nutritionist Asker Jeukendrup. Facebook fans 7,042. Twitter followers 42,177. USA About Blog BEAST Sports Nutrition has established itself as the fastest growing company in the sports nutrition industry. BEAST’s mission is to bring to market the highest quality products that are innovative in nature, manufactured under the strictest protocols and affordable to all. Facebook fans 605,198. Twitter followers 11,765. Toronto About Blog Life-changing, research-driven nutrition coaching for everyone. Precision Nutrition will get you in the best shape of your life. 100% guaranteed. Facebook fans 445,641. Twitter followers 40,224. Melbourne About Blog Sports Dietitians Australia (SDA) is the peak professional body for sports dietitians in Australia. Their vision is that Accredited Sports Dietitians are recognised as an integral part of a committed athlete's team helping them achieve their health and performance goals. Facebook fans 19,878. Twitter followers 10,396. UK About Blog Muscle Zone Blog is addressed to people who are interested in a healthy lifestyle, supplementation and physical training. Facebook fans 1,066. Twitter followers n/a. Green Lanes, Hackney. N4 2HA About Blog Climbing Nutrition began in 2015 with the purpose of helping climbers (or really anyone) make good, rationale choices about nutrition. With this goal in mind, Climbing Nutrition produces content that focuses on three primary concepts: Sports Nutrition for Climbing, General Nutritional Advice and Critical Thinking About Nutrition. Facebook fans 2,288. Twitter followers 4,628. Park City, UT About Blog First Endurance is a premium endurance nutrition line that's been clinically proven to improve endurance performance. They provide the ultimate sports nutrition supplements by integrating the latest clinical research with input from the best endurance athletes in the world. Facebook fans 18,266. Twitter followers 6,618. England, United Kingdom About Blog Be prepared to experience the most explosive range of sports supplements on the market today! Light the fuse and BLAST AWAY the old you with TNT Supplements! Here you will find regular updates with training tips, health and fitness news. Facebook fans 14,927. Twitter followers 287. San Diego, California About Blog Vitalyte Sports Nutrition™ is a leading sports nutrition company with products for athletes of levels and abilities. From the fastest absorbing electrolyte replacement to our extreme endurance fuels, to our line of lifestyle nutrition products, Vitalyte Sports Nutrition offers healthy all natural products for everyone looking to improve the quality of their life. Facebook fans 90,549. Twitter followers 2,425. Facebook fans 1,448. Twitter followers 1,074. Philadelphia and Bucks County About Blog Recipes, Nutrition Info, Travel Tips for Athletes and Active Lifestyles by Kelly Jones. Facebook fans 697. Twitter followers 2,256. Scottsdale, AZ About Blog Jason Phillips, co-founder of Mission 6 Nutrition, is the nutrition coach to finally turn your life around. Specializing in Macro Nutrition Counseling, nutrition for Crossfit Games Athletes, meal plans for weight loss or bodybuilding, and educational and motivational speaking, Jason Phillips is inspiring, approachable, and FUN! About Blog Pearle Nerenberg is Sports Dietitian. Performance nutrition consultant, Hockey nutrition expert, Speaker, Author,TV columnist & Blogger. Facebook fans 535. Twitter followers 231. Toronto, Ontario About Blog Gazelle Nutrition Lab is a nutrition counselling service that caters to recreational and competitive athletes as well as those looking for the opportunity to incorporate healthy eating strategies into their diet. Facebook fans 155. Twitter followers 18. Sydney Olympic Park, Australia About Blog The NSW Institute of Sport (NSWIS) is an elite sporting organisation that supports Australian athletes to become world’s best. Facebook fans 7,349. Twitter followers 5,667. Toronto, Ontario About Blog Evolved Sport and Nutrition is dedicated to bringing you the latest cutting-edge science-based lifestyle interventions for your nutritional and athletic goals. We specialize in serving athletes but serve everyone! Facebook fans 263. Twitter followers 1,169. Surrey, UK About Blog Anita Bean is a Sports Nutritionist. She set up her nutrition consultancy in 1990, specializing in sport and exercise nutrition. Over the years she has written more than 20 books and hundreds of articles and continued to build my knowledge and expertise in sport and exercise nutrition. Facebook fans n/a. Twitter followers 4,639.
north wales, PA About Blog A blog acout Holistic sports nutrition to resolve the underlying cause to your issues. They use real food meal plans, energy work and essential oils to help athletes perform better at work, play or racing.Unleash your inner athlete and gain your competitive edge. Facebook fans 1,058. Twitter followers 621. About Blog Bulking, shredding and thinking differently - visit Bodybulk for your daily dose of fitness, nutrition and workout advice and tips. Facebook fans 1,402. Twitter followers 21. Sioux Falls, Fargo & Bismarck About Blog Sanford POWER uses the latest athletic training techniques and equipment to unlock athletes' full potential or get them back in the game. Facebook fans 3,015. Twitter followers 2,323. Pittsburgh About Blog I’m Heather Mangieri, a registered dietitian nutritionist and founder of Nutrition CheckUp. In addition to my consulting work helping athletes perform better and individuals improve their eating habits. This blog is where I share practical, science-based nutrition information that you can put into practice today. Facebook fans 1,641. Twitter followers 7,315. About Blog Nutritional support for runners, triathletes, cyclists and open water swimmers from a nutritionist specializing in endurance sports nutrition London. England, United Kingdom About Blog Achieve your goals with quality sports nutrition at affordable prices! Here at E-Nutrition we are both extremely passionate and proud of each and every one of the products that we design and produce. We strongly believe that by realising our potential to help and educate through nutrition we can work together side-by-side to help lead the way to a healthier you. Facebook fans 3,967. Twitter followers 717. About Blog Protein Sports Nutrition is committed to finding the best nutritional products in the market and making them available to our customer, which include athletes, bodybuilders, sports enthusiasts, and even your ordinary Joe and Mary who strive to improve their physiques through proper nutrition. About Blog Mauer Sports Nutrition provides a healthy alternative to today's less than healthy sports nutrition offerings. Facebook fans 9,587. Twitter followers 38. About Blog Marcia Bristow is an author. She is RD & certified specialist in sports dietetics. She helps clients to achieve weight, health and performance goals through diet and exercise. Toronto, Ontario About Blog Evolved Sport and Nutrition is dedicated to bringing the most innovative and cutting edge research based information to his athletes and teams in order to maximize everyone’s potential. UK, IRL & NED About Blog Athletes develop with age. Sports nutrition finally caught up. Join over 22,000 other athletes over 35-year old by switching to Elivar today. Facebook fans 11,880. Twitter followers 5,290. Across the US! About Blog SCAN is the largest dietetic practice group of the Academy of Nutrition and Dietetics. Members are registered dietitians with nutrition expertise in the areas of sports, physical activity, cardiovascular health, wellness, and the prevention and treatment of disordered eating and eating disorders. Facebook fans n/a. Twitter followers 12,385. United Kingdom About Blog The official Youtube Channel for the World's No. 1 Online Sports Nutrition Brand, Myprotein. Stay tuned for awesome workouts, interviews with top athletes, nutrition tips, product overviews and more. Facebook fans 1,925,810. Twitter followers 146,304. Cleveland, OH About Blog Welcome to FWDfuel sports nutrition, the best website for information on a gluten and dairy free meal plan for athletes as well as info about a basic food sensitivity elimination diet. This is sports nutrition with a whole food approach individualized to meet your specific needs. Facebook fans 749. Twitter followers 451. About Blog For all the latest news and information relating to all things Nutrition and Sports Nutrition by Craig. Craig is a fully qualified and registered Sports Nutritionist based in Central Scotland. Facebook fans 674. Twitter followers 197. About Blog This blog is your resource for proper nutrition and training along with a fully stocked nutritional supplement store designed to help anyone find their path to success. Burnsville, Minnesota About Blog Val Schonberg is a registered dietitian and sports nutritionist who enjoys helping people learn how to manage food, eating, and health. Facebook fans 503. Twitter followers 124. Colorado About Blog NoCo Sports Nutrition provides sports nutrition coaching and fitness solutions for athletes and active people of all abilities. Facebook fans 276. Twitter followers 1,372. About Blog Tips for health-conscious bodybuilders. Marlow, South East About Blog The Sports Dietitian is a sports nutrition consultancy specialising in endurance sports. It is your go to resource for athletes of all levels to maximise performance through up to date, evidenced based nutrition advice. The main aim is to help athletes achieve personal sporting goals through refining their nutrition for training, competition and day to day life. Facebook fans 849. Twitter followers 1,448. Boulder, CO About Blog Dina Griffin is a cutting edge Sports Dietitian and Registered Dietitian Nutritionist propelling the health and athletic performance of individuals everywhere. She not only addresses needs related to disease and illness but also takes a proactive approach in optimizing health to prevent disease, deficiencies, and breakdowns via personalized sports nutrition coaching. Facebook fans 298. Twitter followers 729. About - Cardiff Sports Nutrition supply the finest sports nutrition, bodybuilding supplements and sports supplements from the biggest brands in the industry for proven results. We offer experienced advice ranging from dietary information to training tips, and can help recommend what products will be best suited to you and your specific goals. About - UK's most innovative and effective sports- nutrition brand. Award-winning supplements since 1997. We are committed to identifying the latest research & using this to not only develop new products but provide you with the information that you need to make an informed decision. About - Mysportscience is your destination for objective and evidence based advice across a wide range of sports science topics including endurance sports and sports nutrition. The site keeps you up to date with the latest research and turns the complicated science into easy to understand, practical applications. My ambition is to help you achieve your personal performance goals or support practitioners and teams to raise the bar! About - The Sports Dietitian is a sports nutrition consultancy specialising in endurance sports. It is your go to resource for athletes of all levels to maximise performance through up to date, evidenced based nutrition advice. The main aim is to help athletes achieve personal sporting goals through refining their nutrition for training, competition and day to day life. 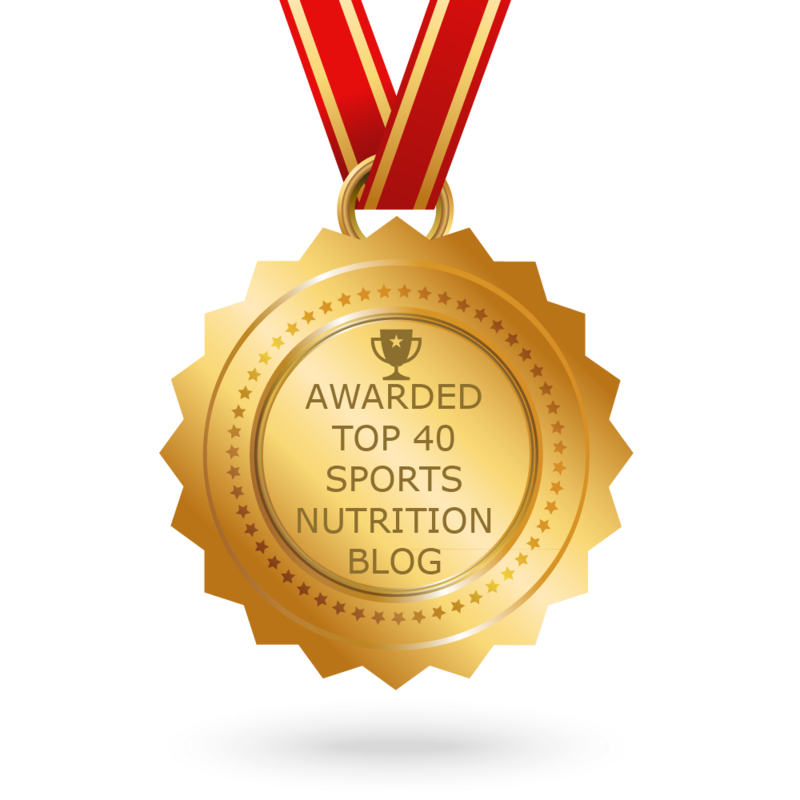 CONGRATULATIONS to every blogger that has made this Top Sports Nutrition Blogs list! This is the most comprehensive list of best Sports Nutrition blogs on the internet and I’m honoured to have you as part of this! I personally give you a high-five and want to thank you for your contribution to this world.